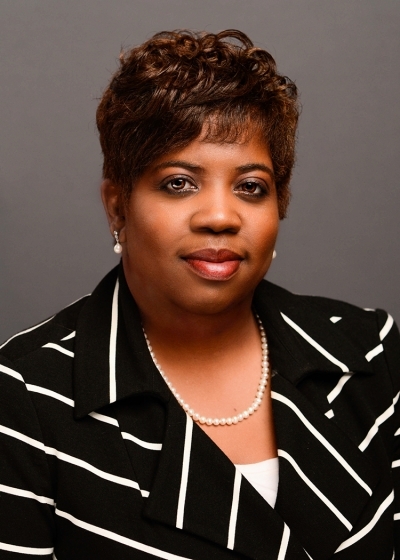 RICHMOND (April 15, 2019) – Dr. Glenn DuBois, chancellor of Virginia’s Community Colleges, announced today that Dr. Jacqueline M. Gill, currently of Lee’s Summit, Missouri, has been hired as the next permanent president of Danville Community College. She will assume the role at the beginning of July. Gill’s selection caps off a national search that attracted 80 applicants. Gill has worked in higher education for more than 20 years. She began her career as the director of continuing education for the NE Campus of Tarrant County College in Hurst, Texas. In 2010, she became the college’s vice president of Academic Affairs & Community & Industry Education. Gill moved to Kansas City, Missouri in 2016 where she became the president of Metropolitan Community College. Prior to working in higher education, she worked for seven years as a social worker in the greater Dallas Fort Worth metropolitan area, including two years of recruiting candidates from underserved populations into healthcare career fields for the Dallas Fort Worth Area Health Education Center in Irving, Texas. Gill earned a doctorate, master’s degree and bachelor’s degree from Texas A&M University, and a separate master’s degree from the University of Texas at Arlington. Gill succeeds Dr. Bruce Scism, the college’s fifth president, who retired at the end of 2018 after serving in that role for five years. Dr. Betty Jo Foster has served as the college’s interim president since January. Founded in 1966, Danville Community College serves the City of Danville, Pittsylvania County, and Halifax County. For more information about the college’s more than 100 programs of study, visit www.danville.edu. About Virginia’s Community Colleges: Since 1966, Virginia’s Community Colleges have given everyone the opportunity to learn and develop the right skills so lives and communities are strengthened. By making higher education and workforce training available in every part of Virginia, we elevate all of Virginia. Together, Virginia’s Community Colleges serve more than 241,000 students each year. For more information, please visit www.vccs.edu.